Senator Bernie Sanders expresses his support for Hillary Clinton, blasts Trump in speech at Democratic National Convention. “Thank you to the 13 million Americans who voted for the political revolution, giving us 46 percent of the pledged delegates here tonight. And to my delegates: Thank you for all the work you’ve done. 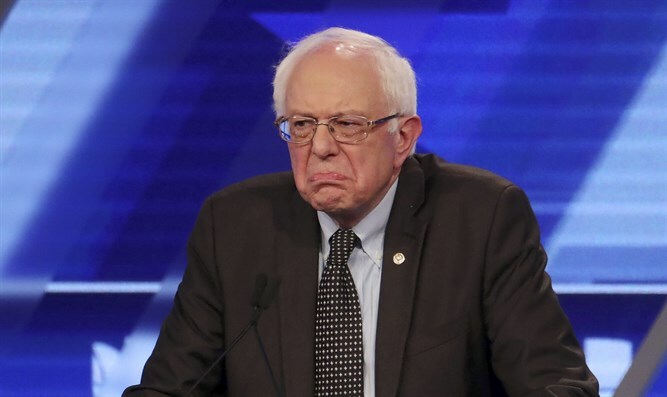 I look forward to your votes during the roll call on Tuesday night,” Sanders began his remarks. “We need leaders who bring us together and make us stronger, not leaders who insult Latinos, Muslims, women and blacks and divide us up,” said Sanders before declaring his support for Clinton. "Any objective observer will conclude that -- based on her ideas and her leadership -- Hillary Clinton must become the next president of the United States," he said, before going on to blast Republican presidential nominee Donald Trump's policies. “While Trump believes in huge tax breaks for billionaires, he believes states should have the right to lower the minimum wage below $7.25,” he noted. “If you don’t believe this election is important, if you think you can sit it out: you're wrong. Think about the future of the Supreme Court,” said Sanders. He admitted to disagreeing with Clinton on some issues, but “this is what democracy is about,” stresses Sanders, noting the Democratic platform found common ground on issues of contention between the two. “Hillary Clinton will make an outstanding president and I'm proud to stand with her tonight,” he concluded.